If you visited your physician this year, chances are, you walked away with a prescription. In fact, four out of five patients leave their doctor’s offices with a prescription. Annually, the average North Carolinian fills 14 prescriptions, and 127 million drugs enter households in the state. However, 40 percent of prescription drugs dispensed to consumers are never used, and over $1 billion of medications are either stored or discarded every year, leading to a myriad of environmental and public health issues. The sources of prescription drug disposal are unclear, and the percentages of active pharmaceutical ingredients in the environment that originate from disposal are not known. However, recent monitoring studies have detected low levels of a range of pharmaceuticals including hormones, steroids, antibiotics and parasiticides in soils, surface waters and ground waters across a wide range of hydrological, climatic and land use settings. The United States Geological Survey estimates that over 80 percent of waterways have detectable concentrations of APIs. Antibiotics, anticonvulsants, mood stabilizers and hormones have been found in the drinking water supplies of at least 40 million Americans. Concentrations are currently below levels that would cause concern, but if these concentrations increase and become more widespread, they could certainly pose a threat to public health and have adverse effects on both aquatic and terrestrial organisms. 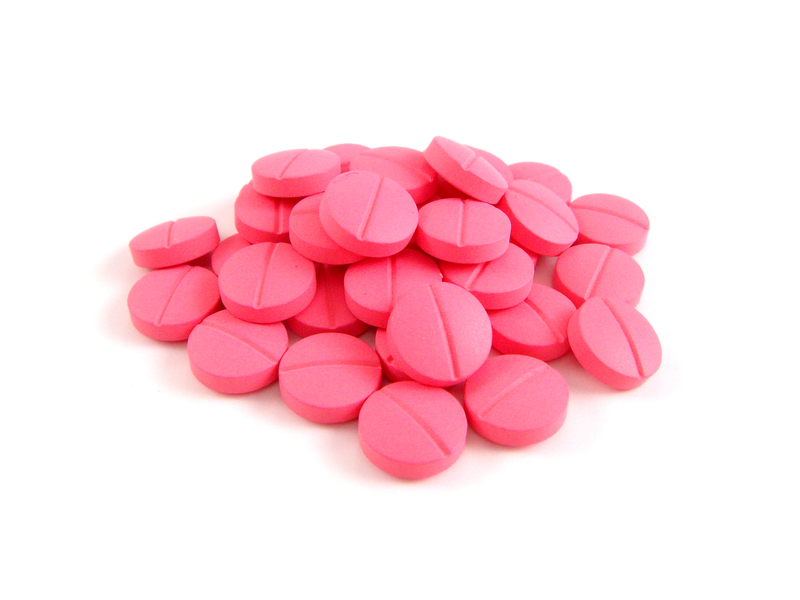 Furthermore, both prescription medicines and over-the-counter medicines cause a vast majority of the unintentional poisonings in the United States. According to the North Carolina Division of Public Health, over 1,000 people die in the state each year from overdoses on prescription drugs. The safest and most sustainable disposal options for prescription and OTC medications are through law enforcement agencies or government programs. The Fort Bragg Office of the Provost Marshal accepts medications at the Law Enforcement Center in Building 2-5634 on Armistead Street. The Fayetteville Police Department at 457 Hay Street accepts prescriptions, OTC medicines, vitamins, pet medicines, ointments, lotions and liquid medications in glass or leak-proof containers. They do not, however, accept needles, thermometers, blood or infectious wastes, hydrogen peroxide, aerosol cans, nitroglycerin, blood thinners or nicotine patches. The state of North Carolina’s Operation Medicine Drop, the Drug Enforcement Agency’s National Prescription Drug Take-Back Event and similar programs are held at various times and locations through the year. In Cumberland County, Operation Medicine Drop is scheduled for Saturday, September 27 from 10 a.m. until 2 p.m. at the following locations. Moore County collection locations can be found HERE. For more information and for more collection points in the area, visit the North Carolina Department of Justice. If you absolutely cannot discard your medications through a law enforcement agency or government program, be sure to discard them in a responsible manner. To prevent accidental ingestion by people and pets, always secure medications carefully, and surrender or responsibly discard these medications as soon as they are no longer required in the manner stated on the label. Do not flush a prescription, though, unless the label specifically directs such disposal. The Food and Drug Administration recognizes that there are environmental concerns associated with the introduction of medications into the wastewater system, but the agency maintains that the risks associated with the exposure to certain controlled substances outweigh the risks associated with their disposal by flushing. These medications include Demerol, Oxycontin, Percoset, Diazepam, Tramadol and drugs that contain fentanyl, morphine, oxycodone, buprenorphine hydrochloride and their derivatives. These substances can be harmful or fatal if ingested by someone other than the person for whom they were prescribed. 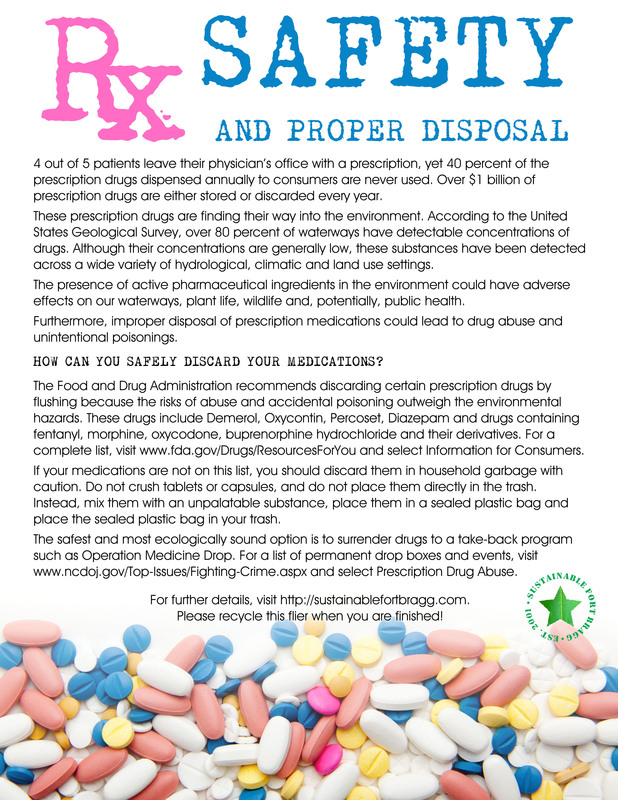 If you cannot discard your medication through a law enforcement agency or government program and the label does not specifically recommend disposal by flushing, you can discard it in your household trash with certain precautions. Do not crush tablets or capsules, and do not place medications directly in the trash. Instead, combine them with an unpalatable substance such as cat litter or coffee grounds in a sealable plastic bag or sturdy container, and place the sealed container in the trash. A new innovation called Pill Terminator is another option. One can collect as many as 300 pills in the Pill Terminator bottle and fill the bottle with warm water, which combines with a powder that destroys pills for safe disposal in the trash. Visit The Pill Terminator for more information. Plastic prescription bottles can be recycled. Bottles should be empty and clean, and all pertinent prescription and personal information on the label should first be removed or thoroughly obscured prior to recycling.